Biolinguistics is the study of the biology and evolution of language. Coined in 1974 by Massimo Piattelli-Palmarini, it is a highly interdisciplinary field, including linguists, biologists, neuroscientists, psychologists, mathematicians, and others. By shifting the focus of investigation in linguistics to a comprehensive scheme that embraces natural sciences, it seeks to yield a framework by which we can understand the fundamentals of the faculty of language. Biolinguistics, also called the biolinguistic enterprise or biolinguistic approach, is believed to have its origins in the work of Noam Chomsky and Eric Lenneberg, among a few others, beginning in the 1950s, as a reaction to the behaviorist paradigm that at the time dominated psychology and linguistics. These works were regarded as pioneers in the shaping of biolinguistic thought, in what was in effect the beginning of a change in paradigm in the study of language. 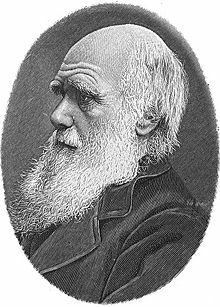 Darwinism inspired many researchers to study the evolution of language mainly by means of biology. Dating all the way back to 1821, German linguist August Scheilurer was the representative pioneer of biolinguistics, discussing the evolution of language based on Darwin’s theory of evolution. As linguistics was believed to be a form of historical science, speculations of the origin of language was not permitted. As a result, hardly any prominent linguist wrote about the origin of language apart from Hugo Schuchardt. From 1950 to 1997, there were barely any bibliography entries written, with only three monograms and one academic paper. It wasn’t until 1974, the first Biolinguistic conference was organized by Piattelli-Palmarini, bringing together evolutionary biologists, neuroscientists, linguists, and others interested in the development of language in the individual, its origins, and evolution , was the term ‘biolinguistics” coined. In 1997, the 40th anniversary of transformational-generative grammar was held, which Jenkins wrote an article “Biolinguistics: structure development and evolution of language”for. Along with Uriagereka’s introductory text written in 1998, their work renewed the interest for biolinguistics, catalysing many linguists to look into biolinguistics with their colleagues in their adjacent scientific discipline. Both Jenkins and Uriagereka stressed the importance of addressing the emergence of the language faculty in humans. At around the same time, geneticists discovered a link between language deficit manifest by the KE family members and the gene FOXP2. Although FOXP2 is not the gene responsible for language, this discovery brought many linguists and scientists in their respective field together to interpret this data, renewing the interest of biolinguistics. Though many linguists seem to have differing opinions when it comes to the history of Biolinguistics. Chomsky believes that the history of biolinguistics was simply the history of transformational grammar. While Di Sciullo claims that the interdisciplinary research of biology and linguistics in the 1950s-1960s led to the rise of biolinguistics. Jenkins believes that biolinguistics was the outcome of transformational grammarian studying human linguistic and biological mechanism. On the other hand, linguist Martin Nowak and Charles Yang argues that biolinguistics originated in the 1970s and that it is not synonymous with transformational grammar, but rather a new branch of linguistics-biology research paradigm initiated by transformational grammar. Whether selection played a role in producing the power of articulate language in humans; and, if it did, whether the selection was primarily responsible for the emergence of that power, or just one of several contributing causes. Darwinism addressed the arguments of other researchers and scholars such as Max Müller by arguing that language use, while requiring a certain mental capacity, would also stimulate brain development, enabling long trains of thought and strengthening reasoning power. Darwin drew an extended analogy between the evolution of languages and species, noting in each domain the presence of rudiments, of crossing and blending, and of variation, and remarking on how each developed gradually through a process of struggle . What constitutes the knowledge of language? How is the knowledge acquired? How is the knowledge put to use? What are the relevant brain mechanisms? How does this knowledge evolve (in the species)? The first three questions where elaborated upon in Chomsky’s book The Logical Structure of Linguistic Theory, while the fourth and the fifth ones were mentioned in Lenneberg’s book Biolinguistical Foundations of Language. Chomsky's early works also includes the Aspects of the theory of Syntax, proposed the assumption that languages are the product of a biologically determined capacity present in all humans, located in the brain, a great deal of which must be innate, supporting his claim with the fact that speakers are able to produce and understand novel sentences without explicit instructions. Chomsky proposed that the form of the grammar may merge from the mental structure afforded by the human brain and argues that formal grammatical categories such as nouns, verbs and adjectives do not exist. The linguistic theory of generative grammar thereby proposes that sentences are generated by a subconscious set of procedures which are part of an individual’s cognitive ability. These procedures are modeled through a set of formal grammatical rules which are thought to generate sentences in a language . Chomsky focuses on the mind of the language learner or user and proposed that internal properties of the language faculty are closely linked to the physical biology of humans. He further introduces the idea of a Universal Grammar theorized to be inherent to all human beings, referring to the initial state of the faculty of language, a biologically innate organ that helps the learner make sense of the data and build up an internal grammar. The theory suggests that all human languages are subject to universal principles or parameters that allow for different choices (values) but contends that humans possess a generative grammar that makes the rapid and universal acquisition of speech by young children possible and it is somehow magically hard-wired into the human brain. Elements of linguistic variation then determine the growth of language in the individual and variation is the result of experience, given the genetic endowment and independent principles reducing complexity. The Minimalist Program (MP) was introduced in 1993 by Chomsky and focuses on the parallel between language and the design of natural concepts. People invested in the Minimalist Program are interested in the physics and mathematics of language and its parallels with our natural world. For example, Piatelli-Palmarini  studied the isomorphic relationship between the Minimalist Program and Quantum Field Theory. The Minimalist Program aims to get to know how much of the Principles and Parameters model can be taken as a result of the hypothetical optimal and computationally efficient design of the human language faculty and more developed versions of the Principles and Parameters approach in turn provide technical principles from which the minimalist program can be seen to follow . The program further aims to develop ideas involving the economy of derivation and economy of representation, which had started to become significant in the early 1990s, but were then still considered peripheral aspects of transformational grammar . Base on this, Lenneberg goes on further to claim that no kind of functional principle could be stored in an individual’s genes, rejecting the idea that there exist genes for specific traits (including language), or, put similarly, that genes can contain traits. Lenneberg then proposes that the way in which genes influence the general patterns of structure and function is by means of their action upon ontogenesis, criticizing prior hypothesis by Goodwin of genes as a causal agent which is individually the direct and unique responsible for a specific phenotype . It is possible that the core principles of the language faculty be correlated to natural laws (such as for example, the Fibonacci sequence— an array of numbers where each consecutive number is a sum of the two that precede it, see for example the discussion Uriagereka 1997 and Carnie and Medeiros 2005). According to the hypothesis being developed, the essential properties of language arise from nature itself: the efficient growth requirement appears everywhere, from the pattern of petals in flowers, leaf arrangements in trees and the spirals of a seashell to the structure of DNA and proportions of human head and body. If this law applies to existing systems of cognition, both in humans and non-humans, then what allows our mind to create language? Could it be that a single cycle exists, a unique component of which gives rise to our ability to construct sentences, refer to ourselves and other persons, group objects and establish relations between them, and eventually understand each other? The answer to this question will be a landmark breakthrough, not only within linguistics but in our understanding of cognition in general. Proposed by Chomsky in the 1960s, the Language Acquisition Device (LAD) was purported to be an innate structure in humans which enabled language learning. Proponents of the LAD often quote the argument of the poverty of negative stimulus, suggesting that children rely on the LAD to develop their knowledge of a language despite not being exposed to a rich linguistic environment. Recent work in theoretical linguistics and cognitive studies at MIT construes human language as a highly non-redundant species-specific system. Noam Chomsky's latest contribution to the study of the mind in general and language, in particular, is his minimalist approach to syntactic representations. This effort to understand how much of language can be given a principled explanation has resulted in the minimalist program. In syntax, lexical items are merged externally, building argument representations; next, the internal merge induces movement and creates constituent structures where each is part of a larger unit. This mechanism allows people to combine words into infinite strings. If this is true, then the objective of biolinguistics is to find out as much as we can about the principles underlying mental recursion. David Poeppel, a neuroscientist and linguist, has noted that if neuroscience and linguistics are done wrong, there is a risk of "inter-disciplinary cross-sterilization", arguing that there is a Granularity Mismatch Problem, as different levels of representations used in linguistics and neural science lead to vague metaphors linking brain structures to linguistic components. Poeppel and Embick also introduce the Ontological Incommensurability Problem, where computational processes described in linguistic theory cannot be restored to neural computational processes. Poeppel suggests that neurolinguistic research should try to have theories of how the brain encodes linguistic information and what could be cognitively realistic computation. A more positive critique comes from the side of biosemiotics, claiming that meaning-making begins far before the emergence of human language. Developed by Elizabeth Wates and Brian MacWhinney, the Competition Model juxtaposes Chomsky's Universal Grammar, suggesting that language development depends on learning and detecting linguistic cues through competing cognitive mechanisms. Neurolinguistics is the study of how language is represented in the brain - how and where is one’s knowledge of language stored in the brain and what happens in the brain during acquisition and use. Neurolinguistics is also closely tied to psycholinguistics, the study of the language processing steps required for speaking and understanding words and sentences, learning first and later languages, and also of language processing in speech disorders. One of the largest breakthroughs in the field was the discovery of the Broca’s area by Paul Broca, which was shown to be responsible for handling the motor production of speech. The discovery of the Broca’s Area was significant as it provided the first significant empirical evidence for the hypothesis that different brain regions carried out different functions and that language was mostly controlled by the frontal regions of the brain. Another landmark discovery was the discovery of the Wernicke's area which is believed to be responsible for the comprehension of auditory speech and Carl Wernicke, for whom the Wernicke’s Area was named, further proposes that proposed that different areas of the brain were specialized for different linguistic tasks.. Language areas are also involved in the processing of non-language information. Correlations of particular areas of the brain with particular language impairments are much poorer than had been thought. These findings were made possible as a result of technological development which improved researchers’ ability to see what is happening in the brain when people speak or listen, and from the accumulation and analysis of many years of detailed aphasia test data. What are the properties of the language phenotype? How does a language grow and mature in individuals? How is language put to use? How is language implemented in the brain? Quite a number of these questions can be tackled by looking at language acquisition and then different aspects of language acquired by an individual. The biolinguistic approach to language acquisition argues that language acquisition is fast and effortless because it builds upon a foundation that is pre-determined by the biological endowment of the species. This human biological endowment for language acquisition is known as Universal Grammar (UG), which is also considered the initial state of the Language Acquisition Device. UG contains core principles that are common to all languages and also information on the ways that each language differs. Information on these language variations are encoded in parameters. As a result, UG can be summed up as a system of principles and parameters, a model proposed by Chomsky. In language acquistion, one of the arguments supporting the biolinguisitc view is poverty of the stimulus, a term coined by Chomsky in 1980 which contends that the linguistic environment that children are exposed to is not rich enough to account for all the information that they have acquired. In other words, children have only heard a finite number of sentences, however, they are able to comprehend and use a language that contains an infinite number of sentences. This argument is often used to argue against the usage-based idea of language acquisition (that language is learnt through exposure in their environment) as it is able to account for the use of grammar that the child is not exposed to. In the following sections, some of the aspects of language that develop will be discussed from a biolinguistic stand-point. These areas will draw similarities to language acquisition and UG. The study of linguistic typology is thus in line with the goal of biolinguists in language acquisition as mentioned previously. It also draws comparisons with UG in the sense that they both seek to identify the similarities and differences in the languages of the world. There is some evidence from this field that suggests that the structure of the world's languages may not be completely random from a sociolinguistc point of view  and this supports the view of UG. Syntax is the part of the language that includes the rules that govern the grammatical organization of words and phrases. Generative grammar considers it the central object of the study and this is the only component of the human language that allows for creative properties. It is because of this creativity allowed by syntax that provided the phrase, famously used by Chomsky, Colourless green ideas sleep furiously in his book Syntactic Structures which demonstrated a grammatically correct phrase that made no sense. This example provided by Chomsky is also evidence of poverty of the stimulus because this phrase is one that most likely did not exist in his environment, yet he was able to produce it. This idea, which is a syntactic principle in UG, is called structure-dependency. Structure-dependency means that the sentence is influenced by its structure and not just the order of words. This ability to understand and use structure-dependency is not derived from experience and is instead a set of principles that regulate the acquisition of language. Artificial grammar learning (AGL) lies in the intersection between cognitive psychology and linguistics. AGL tests are administered to evaluate humans' cognitive process and pattern-detection in a language learning context. Participants are required to learn a made-up grammar in a sterile setting and sounds, symbols, or both are used to represent grammar structures. Results of AGL tests are used to gain an insight to how humans learn and interpret grammar. ^ Boeckx, Cedric; Martins, Pedro Tiago (27 August 2016). "What we talk about when we talk about biolinguistics". Linguistics Vanguard. 2 (1). ^ Trabant, Jürgen; Ward, Sean (24 Jun 2011). New Essays on the Origin of Language. Walter de Gruyter. ISBN 9783110849080. ^ Boeckx, Cedric; Piattelli-Palmarini, Massimo (2005). "Language as a natural object, linguistics as a natural science. Linguistic Review 22: 447–466" (PDF). ^ Jenkins, Jennifer (1997). ""Biolinguistics-structure, development and evolution of language". Web Journal of Formal, Computational and Cognitive Linguistics. ^ Di Sciullo, Anna Maria; Boeckx, Cedric (2011). The Biolinguistic Enterprise: New Perspectives on the Evolution and Nature of the Human Language Faculty Volume 1 of Oxford Studies in Biolinguistics. Oxford University Press, 2011. ISBN 9780199553273. ^ Wu, Jieqiong (15 January 2014). An Overview of Researches on Biolinguistics. Canadian Social Science. p. 171–176. CiteSeerX 10.1.1.820.7700. ^ Freeman, R.B. (1977). The Works of Charles Darwin: An Annotated Bibliographical Handlist (2nd ed.). Dawson: Folkstone. ^ Radick, Gregory (November 2002). "Darwin on Language and Selection". Selection. 3 (1): 7–12. doi:10.1556/Select.3.2002.1.2. ^ Plotkin, Henry (25 April 1997). Darwin Machines and the Nature of Knowledge. Harvard University Press. ISBN 9780674192812. ^ Wu, JIe Qiong (15 January 2014). An Overview of Researches on Biolinguistics. Canadian Social Science. p. 171–176. CiteSeerX 10.1.1.820.7700. ^ Freidin, Robert (5 March 2012). Generative Grammar: Theory and its History (1st ed.). Routledge Leading Linguists. ISBN 9780415541336. ^ Călinescu, Mihaela (1 January 2012). "Chomsky's Biolinguistic Approach to Mind and Language". Linguistic & Philosophical Investigations. 11: 91–96. ^ Logan, Robert K (2007). The extended mind : the emergence of language, the human mind, and culture. Toronto : University of Toronto Press. ISBN 9780802093035. ^ "Piatelli-Palmarini, M., & Vitello, G. (2017). "Quantum field theory and the linguistic Minimalist Program: a remarkable isomorphism"". Retrieved 2019-04-10. ^ Lenneberg, E.H. (1967). Biological foundations of language. New York Wiley. ^ Boeckx, Cedric; Longa, Victor M. (2011). "Lenneberg's Views on Language Development and Evolution and Their Relevance for Modern Biolinguistics". Biolinguistics. 5 (3): 254–273. Retrieved 10 April 2019. ^ Soschen, Alona (2006). "Natural Law: The Dynamics of Syntactic Representations in MP" (PDF). Archived from the original (PDF) on 2007-02-21. Retrieved 2007-02-18. ^ Poeppel, David; Embick, David (2005). "Defining the Relation Between Linguistics and Neuroscience". In Anne Cutler (ed.). Twenty-First Century Psycholinguistics: Four Cornerstones. Lawrence Erlbaum. ^ Velmezova, Ekaterina; Kull, Kalevi; Cowley, Stephen (eds.) 2015. Biosemiotic Perspectives on Language and Linguistics. (Biosemiotics 13.) Cham: Springer. ^ Dronkers; Nina; S, Rita; Berndt. "Aphasia". Oxford International Encyclopedia of Linguistics (2nd ed.). 16. ^ Nakai, Y; Jeong, JW; Brown, EC; Rothermel, R; Kojima, K; Kambara, T; Shah, A; Mittal, S; Sood, S; Asano, E (1 May 2017). "Three- and four-dimensional mapping of speech and language in patients with epilepsy". Brain. 5 (140): 1351–1370. doi:10.1093/brain/awx051. PMC 5405238. PMID 28334963. ^ Novick, Jared M.; Trueswell, John C.; Thompson-Schill, Sharon L. (4 October 2010). Broca's Area and Language Processing: Evidence for the Cognitive Control Connection. Blackwell Publishing Ltd.
^ January, D; Trueswell, J.C.; Thompson-Schill, S.L. (2009). "Co-localization of Stroop and Syntactic Ambiguity Resolution in Broca's Area: Implications for the Neural Basis of Sentence Processing". Journal of Cognitive Neuroscience. 21 (12): 2434–44. doi:10.1162/jocn.2008.21179. PMC 2762484. PMID 19199402. ^ Hickok, Greg (6 September 2009). "The functional neuroanatomy of language". Physics of Life Reviews. 6 (3): 121–43. Bibcode:2009PhLRv...6..121H. doi:10.1016/j.plrev.2009.06.001. PMC 2747108. PMID 20161054. ^ Friederici, Angela D (October 2011). "The Brain Basis of Language Processing: From Structure to Function". Physiological Reviews. 90 (4): 1357–92. doi:10.1152/physrev.00006.2011. PMID 22013214. ^ Krishnan, Saloni; Watkins, Kate E.; Bishop, Dorothy V.M. (September 2016). "Neurobiological Basis of Language Learning Difficulties". Trends in Cognitive Sciences. 20 (9): 701–714. doi:10.1016/j.tics.2016.06.012. PMC 4993149. PMID 27422443. ^ a b Sciullo, Anna Maria Di; Jenkins, Lyle (September 2016). "Biolinguistics and the human language faculty". Language. 92 (3): e205–e236. doi:10.1353/lan.2016.0056. ^ Crain, Stephen; Koring, Loes; Thornton, Rosalind (2017). "Language acquisition from a biolinguistic perspective". Neuroscience and Biobehavioral Reviews. 81 (Pt B): 120–149. doi:10.1016/j.neubiorev.2016.09.004. PMID 27633153. ^ Berwick, Robert C.; Chomsky, Noam (2016). Why only us: Language and evolution. Cambridge, MA: The MIT Press. pp. 89–108. ISBN 9780262034241. ^ a b Jenkins, Lyle (2000). Biolinguistics: Exploring the biology of language. New York, NY: Cambridge University Press. pp. 76–108. ^ Nordguist, Richard (19 February 2019). "Linguistic typology". ^ "Linguistic typology & typological universals". English Language and Linguistics Online. ^ Trudgill, Peter (2004). "The impact of language contact and social structure on linguistic structure: Focus on the dialects of modern Greek". Dialectology meets typology: Dialect grammar from a cross-linguistic perspective. 153: 435–452. ^ a b Scianna, Caterina. "The biolinguistic approach to the study of language nature". ^ Nordguist, Richard (4 March 2019). "Structure dependency and linguistics". Biolinguistic Investigations Conference, Santo Domingo, Dominican Republic, February 2007. Conference on Biolinguistics: Language Evolution and Variation, Università di Venezia, June 2007. ICREA International Symposium in Biolinguistics, Universitat de Barcelona, October 2012.